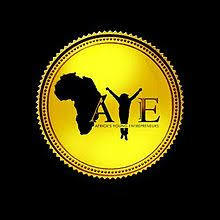 An Email reaching us from A.Y.E (Africa's Young Entrepreneurs) clearly states that A.Y.E is recruiting state executives in Nigeria. Africa’s Young Entrepreneurs (A.Y.E) appoints state executive directors that will drive their states to economic prosperity in the above-mentioned states. 2016 was a landmark year for Africa’s Young Entrepreneurs and as we all know, with great accomplishments comes even greater responsibilities because the best way to define a man is by defining what he has done with what he has been given. This is a call to action for men and women who share the A.Y.E vision and are energy driven, pace setters, passionate for Africa’s development and willing to partner with A.Y.E to move Africa forward into the future by developing and empowering the next generation of Nigeria’s Young Entrepreneurs starting with their states. Meanwhile the position for the Deputy State Director is open for you to be filled in the 36 states of the federation. · The applicant should be a resident of the state for at least a period of 5 years or be an indigene of the state. · Applicants should send their CV and a video campaign (not more than 1 min) with a brief introduction and also why you want to be a part of the A.Y.E Executives to partnership.gov@ayeonline.org and copy pr@ayeonline.org. Election holds on the evening of Sunday 10th of September 2017.